Those who argue that dentists could save their patients from a heart attack or stroke now can point to research that supports the claim. A new study is strengthening the link between periodontal disease and increased risk of heart attack and stroke. David R. Cagna, DDS, MS, is Associate Dean at the University of Tennessee College of Dentistry. "A lot of diseases that are in the mouth," he said, "can have a global effect on the body." He sees a future where "dentists and physicians will have to interact more frequently than they used to" as we continue to learn more about the links between diseases in the mouth and the rest of the body. The University of South Carolina School of Medicine's Souvik Sen, MD, conducted one of the largest U.S.-based studies of periodontal disease, dental care and ischemic stroke. The results were published in the January issue of the journal Stroke, showing that patients with regular dental care had half the stroke risk of those who fail to see their dentist regularly. However, researches hesitate to draw a causal link because periodontal disease, strokes and heart disease are complex health conditions with multiple causes and are all exacerbated by smoking. The European Journal of Preventive Cardiology published a study early this year showing a connection between periodontal disease and heart disease, especially in men who smoke. "In men, tooth loss was associated with an elevated risk of coronary heart disease," the report stated. "The magnitude of these relationships was, however, modest such that the greatest increased risk associated with tooth loss was around 10 percent." When studying the female subgroup, the researchers found "the general pattern of an increased risk of coronary heart disease with a greater degree of tooth loss remained, even in 'never-smokers.'" In summary, although the study was large in scope, including a sizable number of "never-smokers," researchers proved a "modest" tooth loss-coronary heart disease link in men that was explained by the presence of cigarette smoking in patient history but not in other subgroups. Memphis private practitioner Gregg Kemp, DDS, said he was "shocked" by the strong correlation between periodontal disease and heart blockage. He has observed that some patients often put off going to see a doctor, so dentists must help catch warning signs of more serious conditions during routine teeth cleanings. "We take your blood pressure when you get your teeth cleaned and refer patients to their doctor if it's high. It's comprehensive care. . . . We're the first ones to catch a lot of things," Kemp said. Other things are changing in dental care. For example, implants. According to the American Academy of Implant Dentistry's latest figures, 3 million people in the U.S. have implants, and that number is growing by 500,000 per year. Implants have become big business. Researchers at Million Insights said the dental implants market was valued at more than $3.56 billion in 2015. 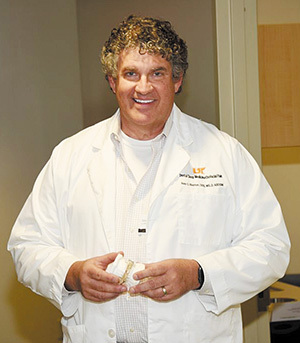 Dr. Cagna noted the change in general dentistry curriculum at schools such as the University of Tennessee Health Science Center now include implant restoration for all students. Previously, implants and implant restoration were only part of specialty dental programs. Dr. Kemp notes that physicians, dentists and dental specialists have collaborated for years, especially regarding patients with recent surgery, or those undergoing cancer treatment, and patients with heart conditions. 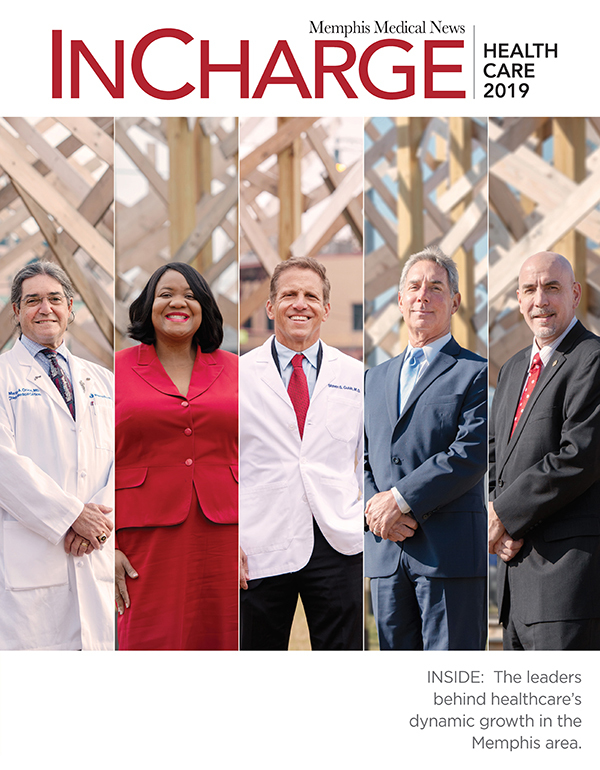 Sleep apnea recently has been added to that list, as UTHSC opened the Center for Dental Sleep Medicine and Orofacial Pain in the College of Dentistry. Treatment options for those with sleep apnea include the CPAP (continuous positive airway pressure) machine, surgery on the palate or base of the tongue and oral appliance therapy. Alan O. Blanton, DDS, MS, Diplomate, American Board of Dental Sleep Medicine, believes oral appliance therapy is the least invasive treatment option for patients, and is personally invested in continuing research. Blanton was diagnosed with sleep apnea and decided to join the UTHSC faculty in January. The oral appliance is fitted to the patient and is similar to a mouth guard worn during sports. It holds the lower jaw forward, adds stability and lifts tissue to prevent the airway from collapsing during sleep. The treatment is generally only for those without severe sleep apnea. The Center hopes to develop a graduate program for residents to learn about sleep disorders and orofacial pain. "I want Tennessee to be positioned to be a major player in that inter-professional education initiative," Dr. Blanton said. 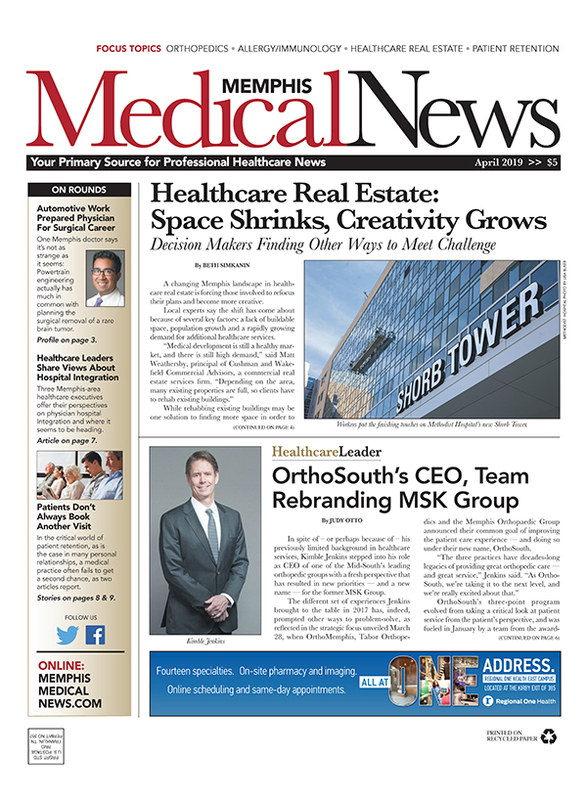 "Patients are less likely to see their primary care physician for regular check-ups and physicals. 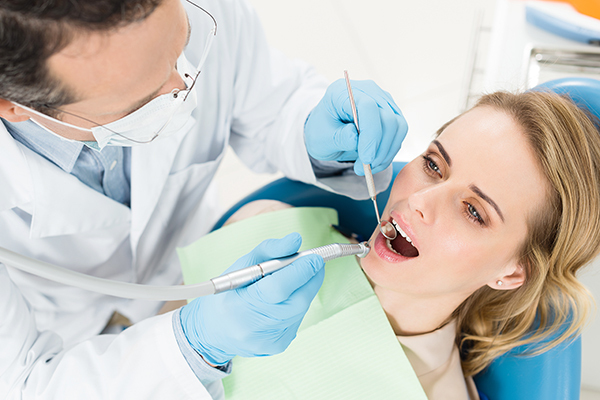 However, many patients will see their dentists regularly, once or twice a year. "That puts us in the position of being able to screen for many conditions like hypertension, skin disorders, oral cancers, sleep-disordered breathing problems, just to name a few," Dr. Blanton said. "We will continue to see more research on mouth and body links, and dentists and physicians collaborating in the future."